When I became a mom, I loved immersing in cuddles with my baby. I could stare at my baby girl forever, smelling her new baby scent, while gazing into her eyes. However, reality hit after the visitors, and meals stopped arriving at our door, and I needed to put my baby down, to you know… get stuff done! My saving grace when my husband wasn’t around to take our baby for a bit was a super tacky bouncer seat. It had every color in the rainbow, with pictures of zoo animals all over the fabric. It also had a toy bar that went across the top, and I’m pretty sure it vibrated and played music. Anyway, despite the super tacky print, it did the job. This is where I placed my baby down to sleep, and anytime I needed my hands free to get stuff done. I even brought it into the bathroom with me so I could take a shower. Similarly, I used this same type of bouncer seat when I had my other two daughters. Bouncer seats became my baby shower gift of choice when purchasing for friends and family having babies, and I would rant and rave about how much they ‘saved’ me when I needed to get things done, or put my babies to sleep. Today, bouncer seats have come along way in terms of style and design. In fact, when I attended the Modern Mama, BABYBJÖRN mini social a few months back, I was in awe of how stylish, sleek and trendy the BABYBJÖRN bouncer mini is. I couldn’t help but wish I used one like this with my girls when they were babies. Everyone at the event was generously given a BABYBJÖRN Bouncer Mini to review and since my girls are no longer babies, I gave it to my friend to use for her new precious son. I was so excited about giving it to her because I remember how much it provided invaluable help for me in my babies early days. My girlfriend says she loves the way the BABYBJÖRN Bouncer Mini naturally soothes her baby back to sleep. She loves the light grey, and how easily she can move baby from room to room so she can keep him close. 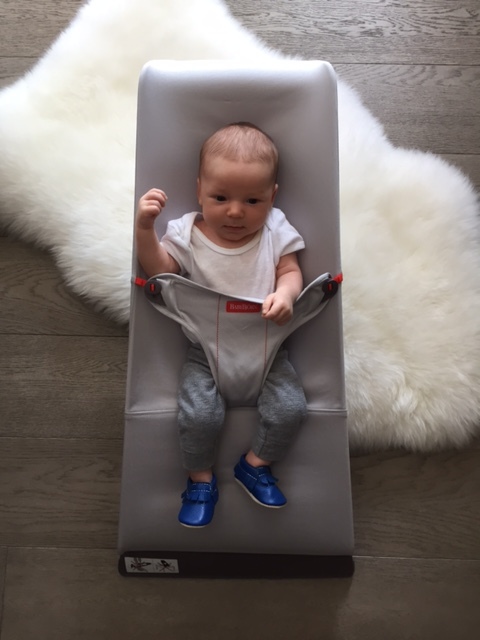 If you’re an expecting mom, a new mom, or simply love gifting bouncer seats like I do, then you’re in for a treat because I’m giving away a BABYBJÖRN Bouncer mini to one lucky reader! This product was developed in close collaboration with pediatricians. 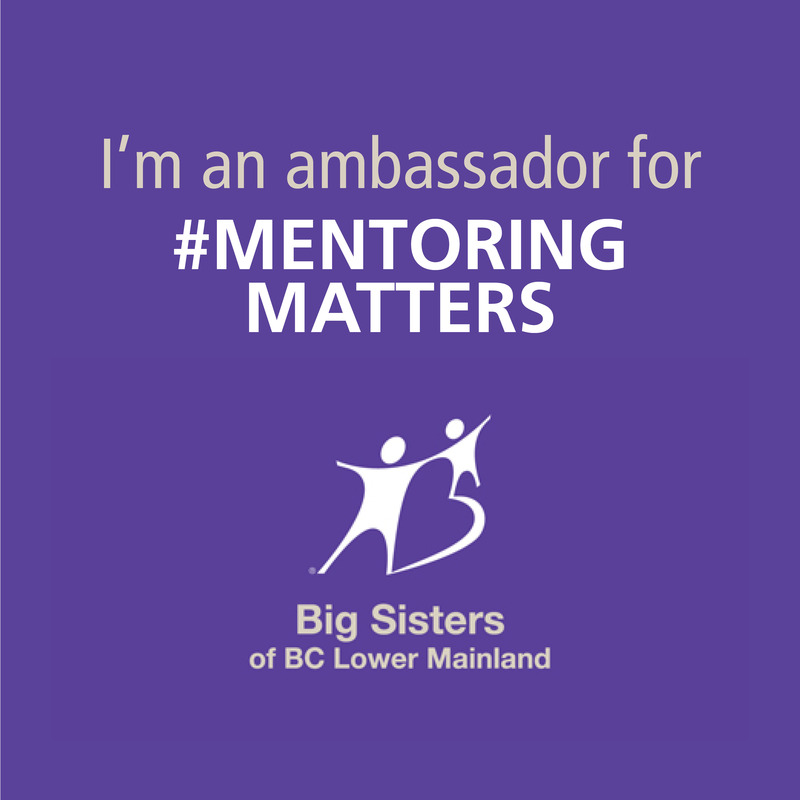 They work with leading pediatricians, midwives and child psychologists. Their medical expertise is extremely important to BABYBJÖRN and they provide them with invaluable input when they develop new products. BABYBJÖRN never launches a product without their approval. Dribble, spit-up and diaper leaks are only to be expected in the early days. Easily removable and washable fabrics are a parent’s best friend. Proper neck and back support is important for newborns as their muscles are not yet fully developed. 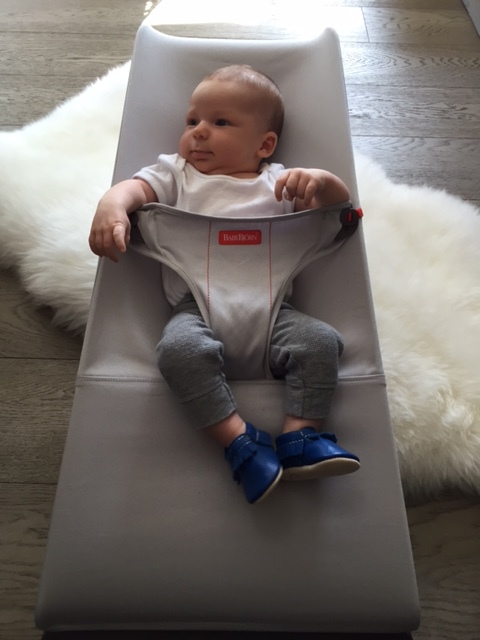 The Bouncer Mini offers this comfortable and vital support for baby. Bouncing is great fun and a natural way for your baby to learn to soothe themselves and to train motor skills and balance. No batteries required. All materials are kind to your child’s skin and safe to taste. They are free from harmful substances and comply with the requirements of Oeko-Tex Standard 100, Class I for baby products. This product retails for $159.99 Canadian. 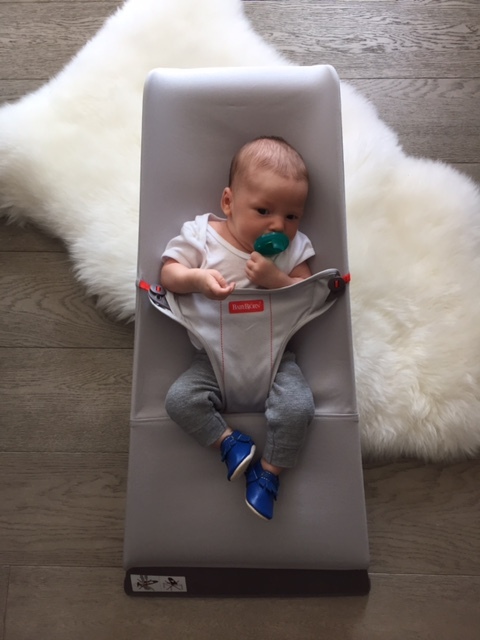 I can’t get over how cozy this little guy looks in his Bouncer mini! Enter for your chance to win yours today! Disclosure: The views expressed in this review are my own and do not represent the opinions or views of BABYBJÖRN. I received a BABYBJÖRN Bouncer Mini as compensation in order to conduct this post. Our bouncer with Hazel was the same, super bright and tacky, but a life saver! I can hardly wait to use the new Bjorn Bouncer mini! But what I really want to know is who all these people are that were bringing you food? I would have killed for someone to drop off a meal or even a coffee!